Bill Cosby arrived at a Pennsylvania courthouse Monday morning ahead of his two-day sentencing hearing that will determine how much time the comedian will spend behind bars for sexual assault. Cosby, convicted of drugging and molesting Andrea Constand inside his home in 2004, faces up to 30 years in prison. The hearing at the Montgomery County Courthouse in Norristown is expected to begin with testimony about whether he should be classified as a sexually violent predator. 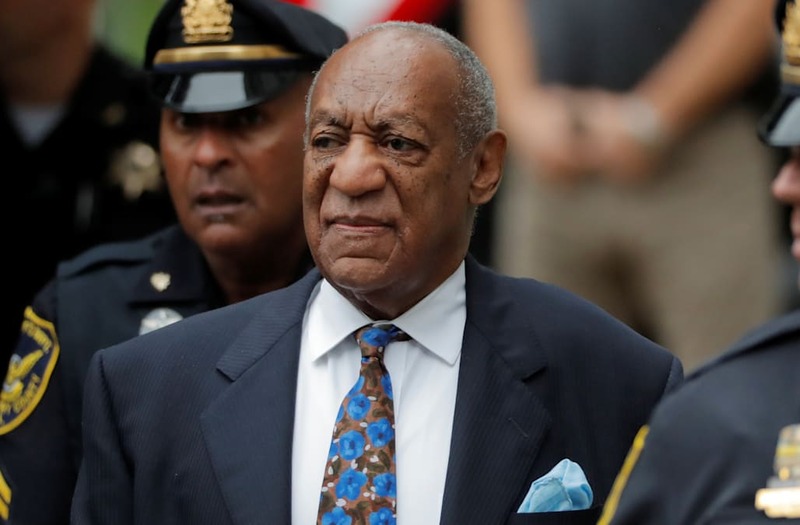 The 81-year-old Cosby was convicted of three counts of aggravated indecent assault in April. Constand, the former head of women's basketball operations at Temple University, is one of more than 60 women who have accused Cosby of sexual misconduct. Constand tweeted a Bible verse hours before the hearing was set to begin: "Be wrathful, but do not sin; do not let the sun set while you are still angry; do not give the Devil an opportunity." Cosby's first trial in 2017 ended in a mistrial before he was found guilty by a jury earlier this year. Camille Cosby, the comedian's wife, criticized the judge in the case earlier this month, claiming Steven T. O’Neill is too biased to sentence her husband fairly. She claimed that O'Neill had bad blood with former Montgomery County DA Bruce Castor, who did not prosecute Cosby more than 10 years ago. “Bill Cosby was not afforded an impartial judge and he did not receive a fair trial. Instead, my husband was forced to go to trial before a judge, Steven T. O’Neill, who had a bitter, longstanding feud with one of the key witnesses in the case, Bruce Castor,” Camille said in a statement.